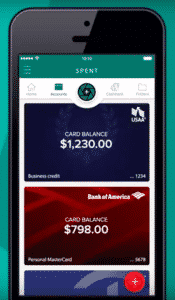 SPENT Money is an app designed for freelancers and business owners to manage business and personal expenses easily. Just as Tinder popularized the idea of swiping left or right in its mobile dating app, SPENT uses swipes to categorize personal and business expenses: left for personal, right for business. Where the app deserves your close attention is its cash back program. Each time you make a personal or business purchase at any one of over one million places, you qualify for cash back over and above what you earn with an existing credit card. Earning an extra few percentage points of cash back on each purchase might not seem like a lot but combine it with an existing credit card cash back program and it could quickly add up to some serious money. 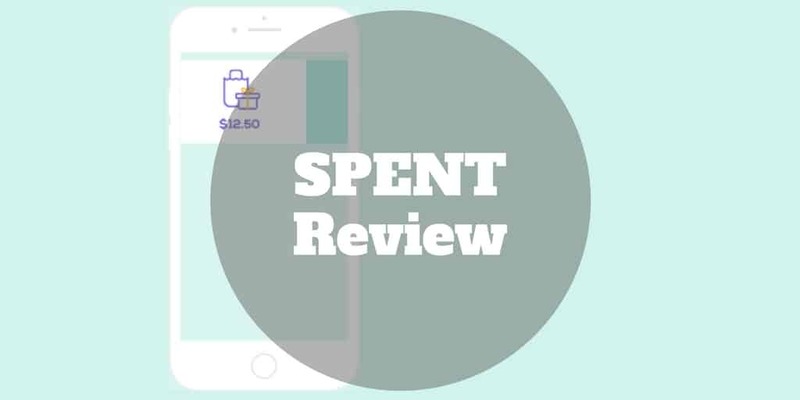 Plus, SPENT Money has tons of budgeting tools to help keep your finances on track, including receipt capture, expense categorizations, analytics, as well as business deduction tracking. The bottom line is if you struggle as a business owner or freelancer to keep track of your organizational and personal expenses, SPENT Money simplifies your budgeting and earns you surplus cash back for the cost of a cup of coffee per user monthly. How Much Is Spent Money? How Secure Is SPENT Money? The idea is to use the simplicity of swiping left or right to categorize expenses and earn rewards over and above what may be available through existing credit cards. Whether you use an iPhone, Android phone, or prefer online access, SPENT is accessibile. SPENT Money incorporates Empyr technology to track cash back rewards when you spend at any one of over 1,000,000 eligible merchants, so you can potentially earn surplus cash rewards over and above what your credit card already provides. Getting started with the SPENT app is very straightforward. Start by selecting whether you are a business owner, employee, or freelancer. To verify your email address, you will be sent a verification code. If you are a business owner, you will be prompted next to connect your business accounts. 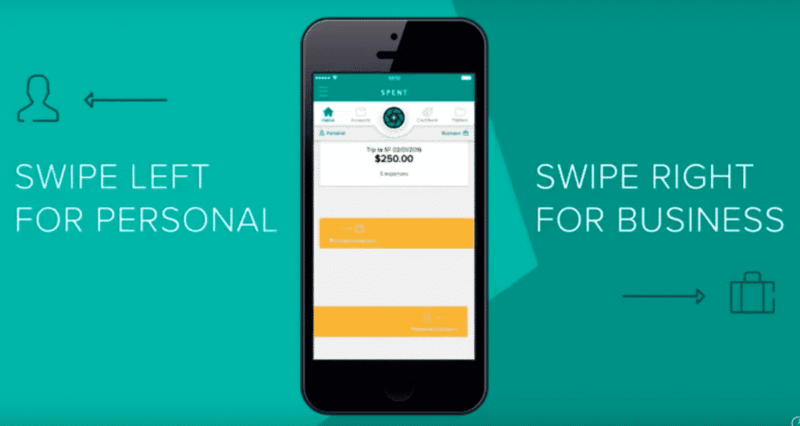 If you signed up online, you will need to visit the App Store as an iPhone user or Google Play store if you are an Android user in order to download the SPENT app to connect your credit cards. However, you can add employees online in a web-based browser, as well as track spending in various categories, such as auto & transport, bills & utilities, business services, education, entertainment, fees & charges, financial, food & dining, gifts & donations, health & fitness, home, income, investments, kids, personal care, pets, shopping, taxes, transfer, travel and uncategorized expenses. SPENT alerts you when you have new expenses that need to be categorized. All you need to do is swipe left for a personal expense and right for a business expense. You will be prompted to create folders to organize expenses and scan receipts. Unlike Personal Capital, which is designed primarily for personal use and automatically categorizes expenses for you, SPENT requires some manual input. However, there is no easy way around this drawback because on a business trip you or your employees may be spending money on both business and personal items. When you are logged in, you can easily explore the partner cash back rewards offers to help save you money. Partners include well-known brand name retailers, such as Walmart, Gap, and Best Buy, as well as Staples, Office Depot, Groupon, Target, Macy’s and one million other merchants. SPENT Money offers two pricing packages depending on the level of service you need. The Basic package offers a ton of service at no cost but if you want integration with Quickbooks as well as reimbursement functionality, it will cost $4 per user monthly as part of the Pro version. Integration with Xero and Freshbooks is on the roadmap but not yet available. SPENT Money is a budgeting tool with a twist – it caters to both business and personal expenses. It is free to use unless you want advanced functionality and has the added bonus of connecting users to over one million merchants to earn additional cash back rewards. However, it is not compatible with most bookkeeping software – Quickbooks is the exception. ✅ Business & Personal Budgeting Tool: Unlike many budgeting tools that cater only to personal financial budgeting or exclusively to business expense tracking, SPENT makes it as easy as swiping left or right to track both business and personal expenses. ❌ Integration Limits: While SPENT Money is compatible with Quickbooks, integration with Xero or Freshbooks is not feasible yet. ✅ Low Cost Budgeting Tool: If you can forego Quickbooks integration and reimbursements, SPENT is free, but the higher tier Pro service costs $4 per month per user. ❌ Manual Categorization: You may need to manually categorize expenses into folders. Unlike some apps which categorize all expenses automatically, the SPENT app requires more user involvement. ✅ Cash Back: The primary attraction of SPENT Money over and above expense-tracking is the opportunity to earn cash rewards in addition to the ones you already receive from credit cards. With over one million eligible merchants, the chances to earn cash back are extensive and include brand name retailers. ❌ Online User Experience: We didn’t find the online user experience to be especially friendly to new users. After you sign up, you have to puzzle through what the next step is in terms of how to link bank accounts – so it is advisable to start with the mobile app. ✅ Expense Alerts: When new expenses need to be categorized, you will be alerted. ✅ Mobile Access: Whether you have an iPhone or Android device, SPENT Money is compatible with both operating systems. ✅ Receipt Capture: SPENT Money’s receipt capture tool digitizes the process of tracking receipts from employees for easier expense management. ✅ Extensive Banking Network: Over 19,000 banks have partnered with SPENT, so your banking institution will almost certainly be compatible with SPENT. To ensure your information remains secure and private, SPENT provides bank-level security with passcodes and TouchID (iOS) protected logins. HTTPS 256-bit encryption is used to ensure secure and private communications. And any transaction information linked to imported transactions that SPENT receives is in read-only form. SPENT Money is a budgeting tool with a twist. While most budgeting apps serve individuals or businesses exclusively, SPENT caters to both. If you are a business owner, freelancer, or employee who has ever been frustrated with expense management tracking and receipt capture, SPENT is designed for you. Plus, the basic package is 100% free and the Pro version of the tool is just $4 per user monthly. Although the app lacks integration more broadly with Xero, Freshbooks, and other bookkeeping tools, the cash back rewards network more than makes up for the shortfall. Categorizing expenses as business or personal is easy too, though manually creating folders is a bit more cumbersome. Still, the overall experience is sufficiently compelling to earn your attention and explore how it can streamline your financial budgeting.